Technology including digital applications and tools enhance teaching, learning and assessment (TLA) activities. Cloud 6 involves researchers and practitioners, who aim at enhancing formal and/or informal TLA by means of technology. 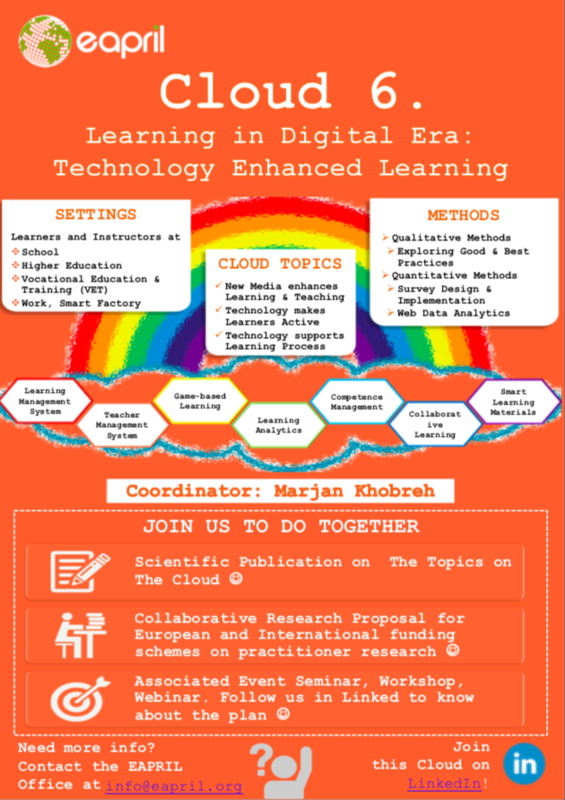 Moreover, Cloud 6 provides opportunity for the delegates to gain benefits from the results of national or international projects, which establish, use and/or develop ICT solutions and technologies such as but not limited to e-learning, blended learning, gamification, learning analytics towards improving TLA results. Herewith, Cloud 6 invites you, who is a researcher, project manager, project staff or practitioner to join and collaborate with us towards achieving our goals.